Intricate, mixed-media tile features natural stone, metal and crushed glass in a beautiful mosaic pattern. 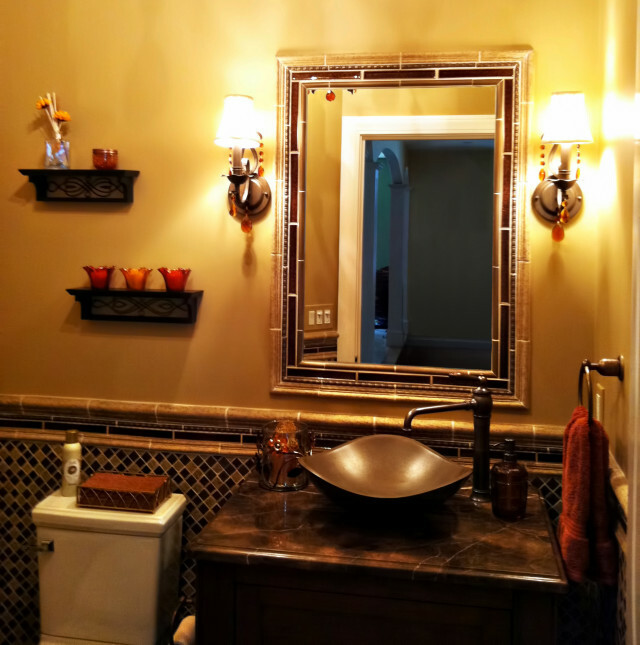 A custom tiled mirror creates additional luxury in this bronze powder room. 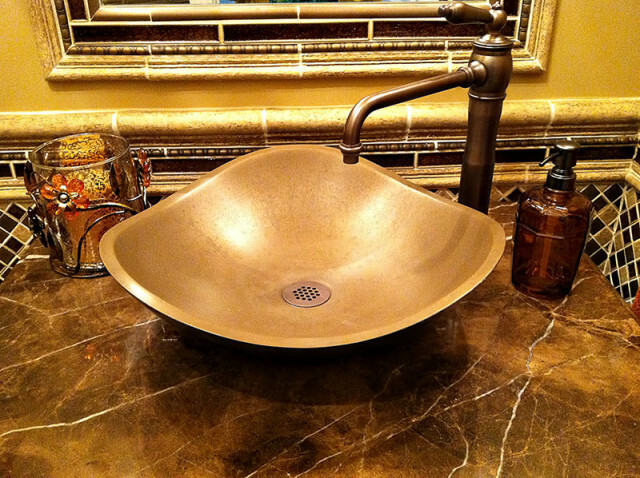 An organic vessel sink in a bronze finish sits atop a richly veined marble countertop.